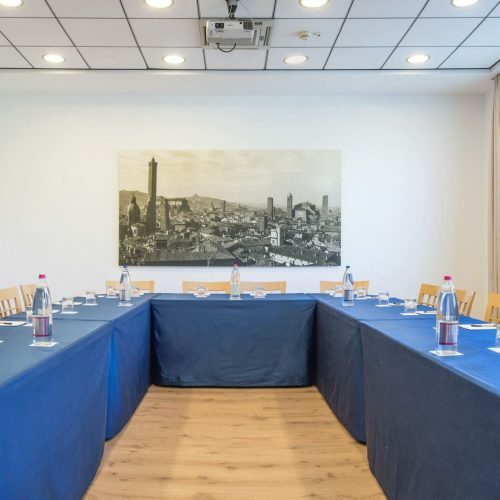 Business meetings, presentations, events , incentive programs and gala Dinner at Ramada Encore Bologna – Hotel & Natural Spa 4 stars . 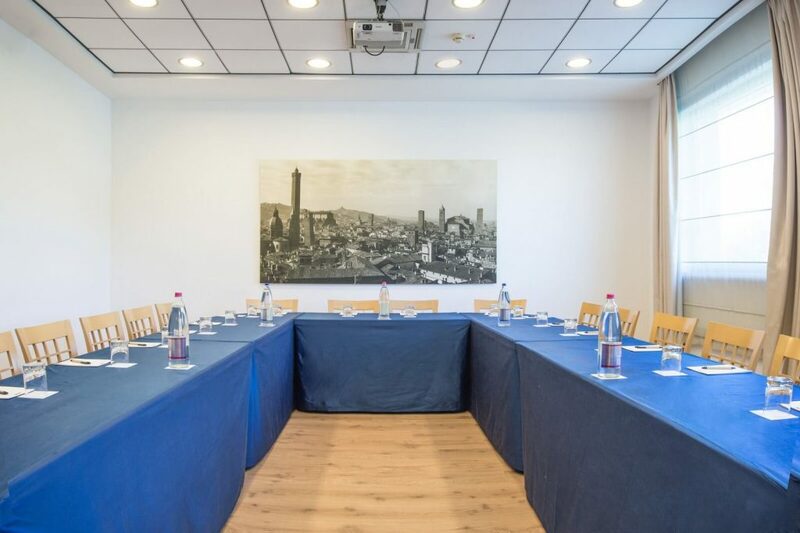 The Hotel guarantees high quality service standards and efficient technology to satisfy the needs for any kind of meeting. 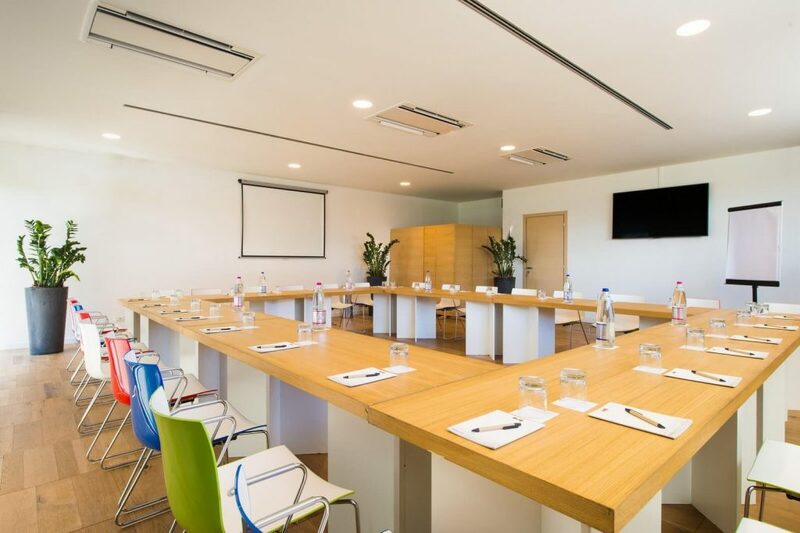 Ramada Encore has 4 meeting rooms which are elegantly furnished and fully equipped with latest technology to ensure that your meeting run smoothly. 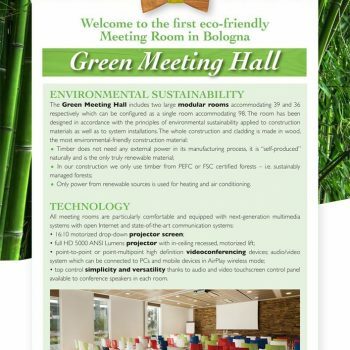 Our Green Meeting Hall entirely made in wood, the most environmental-friendly construction material-, is the first one in Bologna offering high technology equipment and renewable power sources, used for air conditioning and light within the meeting room. 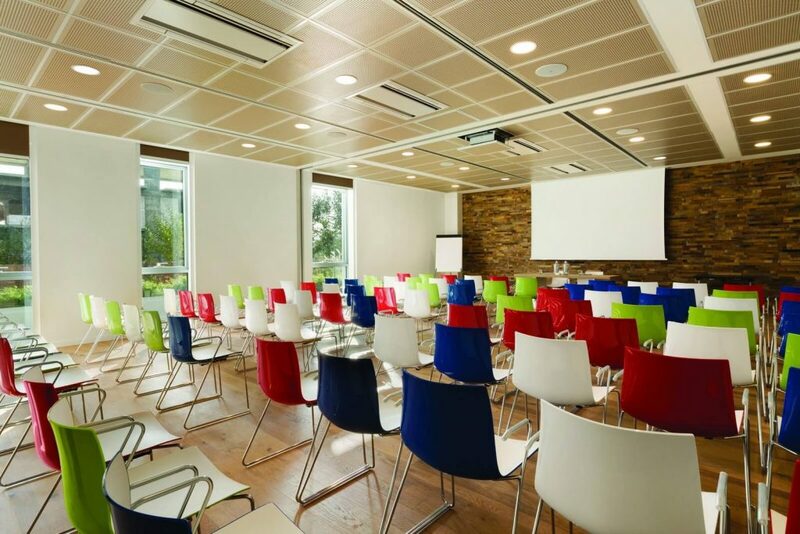 As well the Green meeting hall appeal by natural light and design chairs make it unique frame for your event. 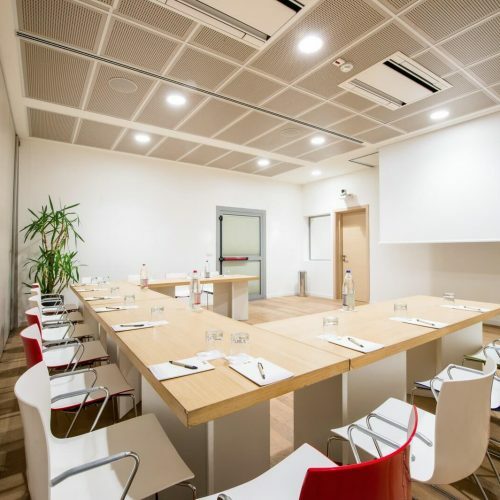 The meeting room has a maximum capacity of 94 seats and can be settled as well into 2 meeting rooms of 37 and 40 seats respectively. 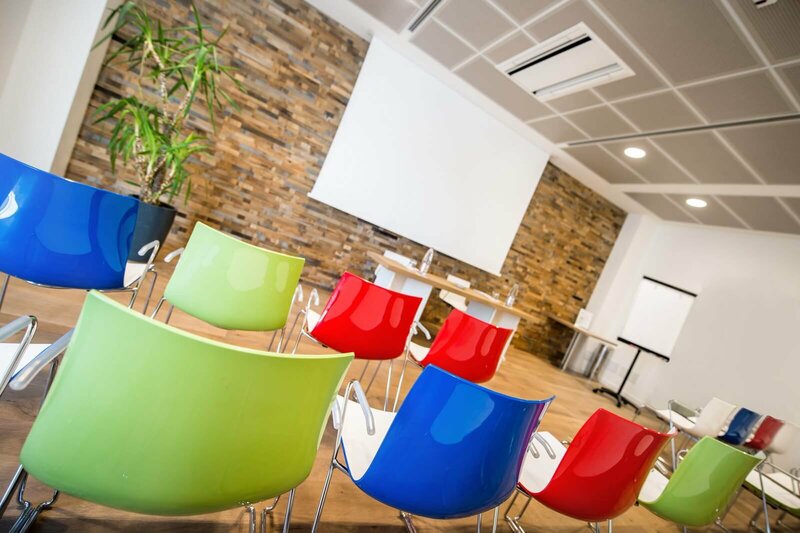 All our meeting room are equipped with free Internet access and state-of-the-art audio and video communication technology. 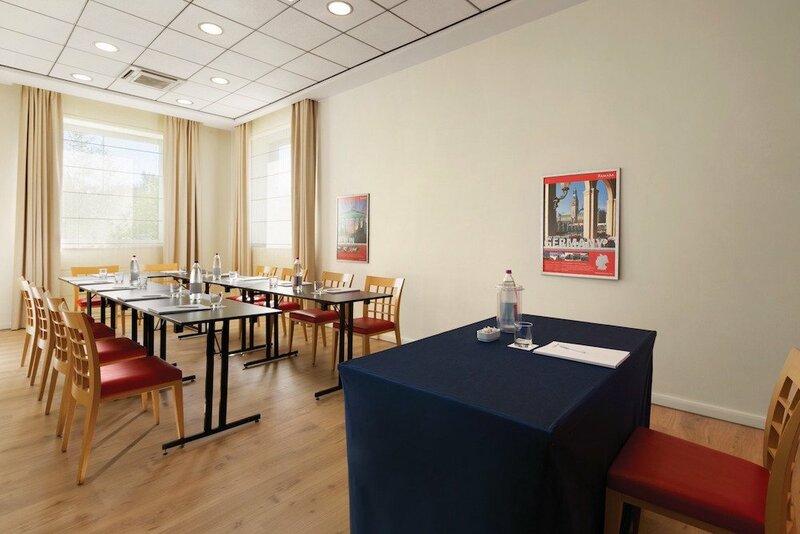 All rooms are wi-fi supplied with superfast connectivity. Connection lines can be shared and used in videoconferencing. The Terrace Room is illuminated by natural light from the adjoining panoramic terrace. 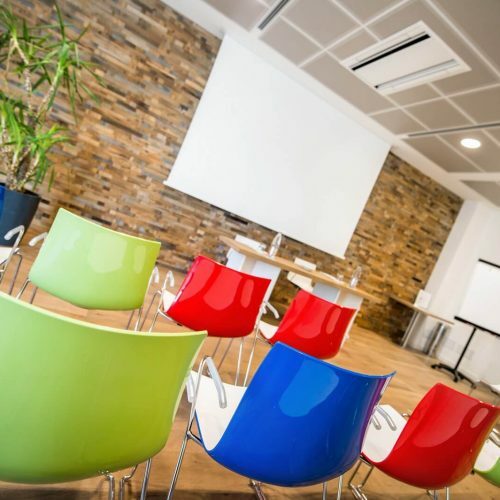 This makes it an ideal venue for training sessions as well as for courses on bioenergetics, fitness sessions and programmes led by personal trainers. 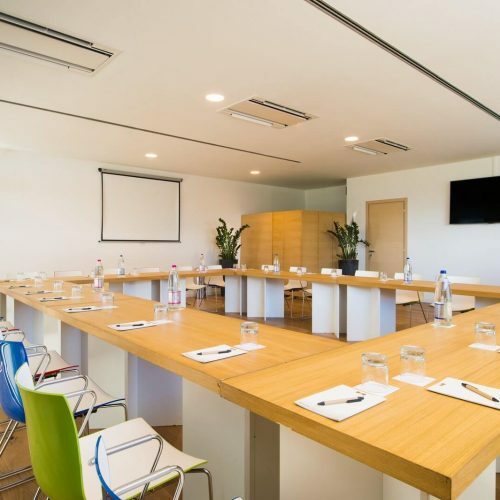 The room features an extended set up which makes it comfortable and functional for meeting with a school desk or Boardroom setup. 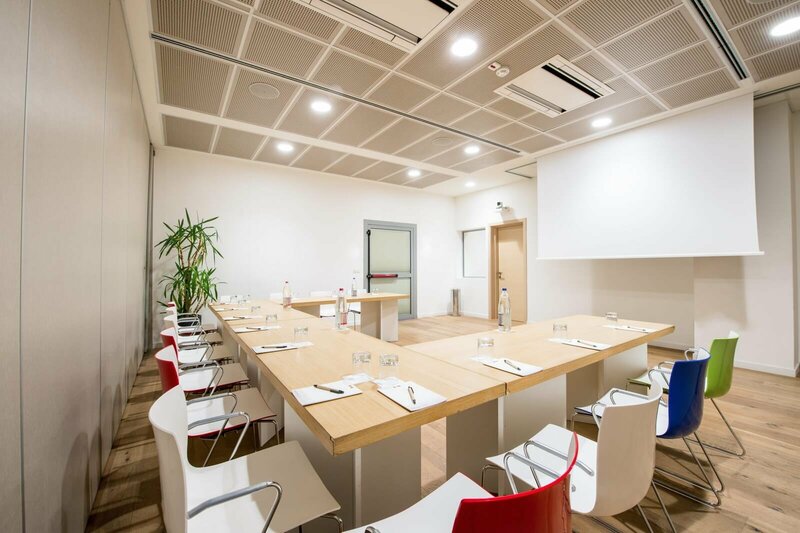 it is enlightened by natural light and it is the ideal place for the following set ups: theatre, U-shape, school desk and board room. The Blue room is equipped with the best technologies.